The winter weather can leave us inside and feeling lethargic. Let's shake up our routine and add a bit of movement and art to our day today. The Bee Yoga Fusion YogaKids loved this activity and we came up with a ton of ways to play the game. First I printed out the paper dolls made by Mr.Printables. Each child cut out the paper doll that they wanted to use and added a piece of tape to create the cone shape. 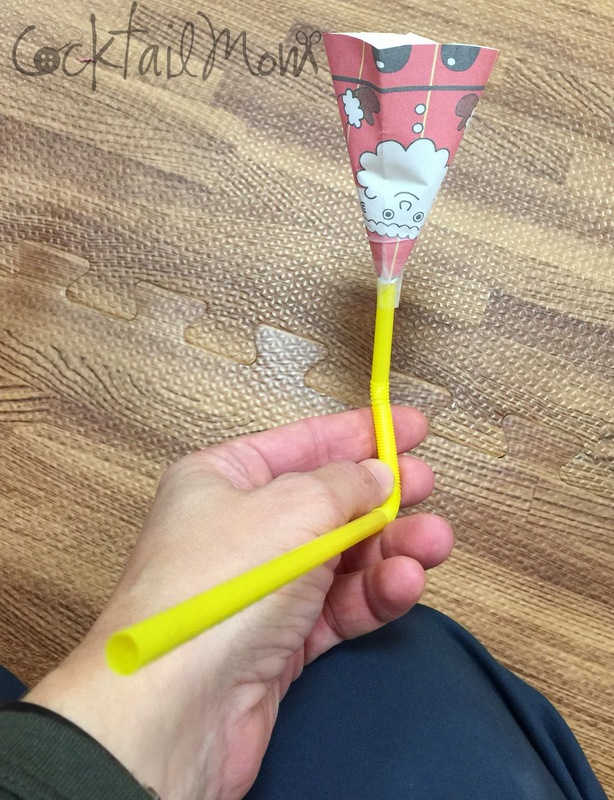 Then we snipped of the top with scissors and taped the cone shape to a plastic bendy straw. Each child chose a small craft ball to put in their cone and then standing over some plastic cups they would try and blow their craft ball into one of the cups. 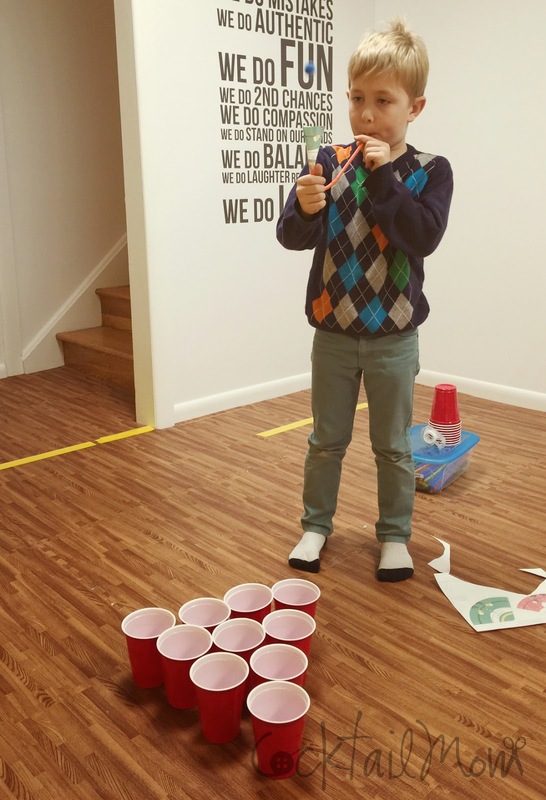 The YogaKids came up with a point system and continually changed the shape of the cups to add more of an challenge to the game. This craft is great for kindergarten through 4th grade.